Use a dedicated benchmark IC, and high-precision current sensing resistor, make more stable constant current, (when 20°C to 60°C constant current 5A, temperature drift less than 5%). suitable for LED driver. 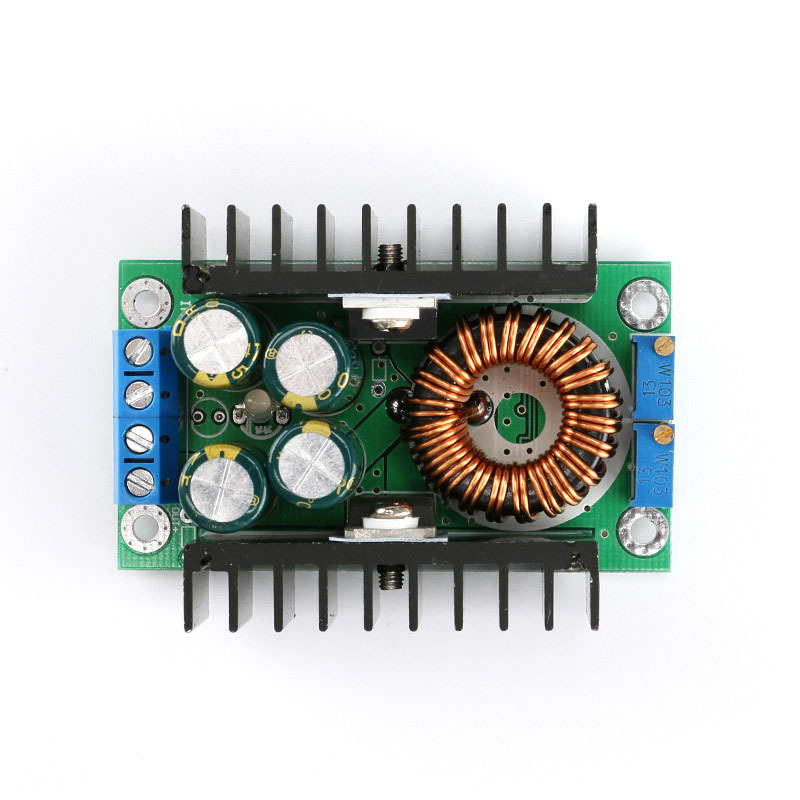 High output current, the max output current can reach 8A. Low output ripple , high frequency capacitor reduces output ripple. 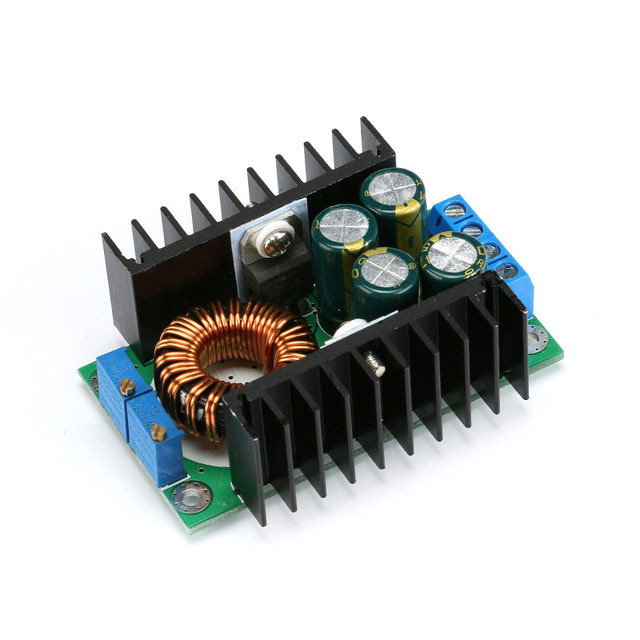 Turn lamp current : constant current value * ( 0.1 ) , turn lamp current and constant current value linkage.For example, constant current value 3A, turn lamp current is set to 0.1 times constant current(0.1 * 3A = 0.3A). When adjust the constant current to 2A , then turn lamp current is 0.1 times constant current (0.1 * 2A = 0.2A). Turn lamp current is fixed to 0.1 time in this version( actually turn lamp current value is probably not very accurate ), it is for identify whether the battery is fully charged. Output Power: Maximum power is about 300W, power tube temperature exceeds 65 degrees please add fan. Potentiometer adjustment: clockwise ( increase ) , counterclockwise ( decrease ). The potentiometer close to the input port is for voltage adjust (CV), the potentiometer close to the output port is for current adjust(CC). Indicator : double color indicator. When charging the indicator is RED, fully charged is GREEN( No load is green ). Output prevent backflow : None. 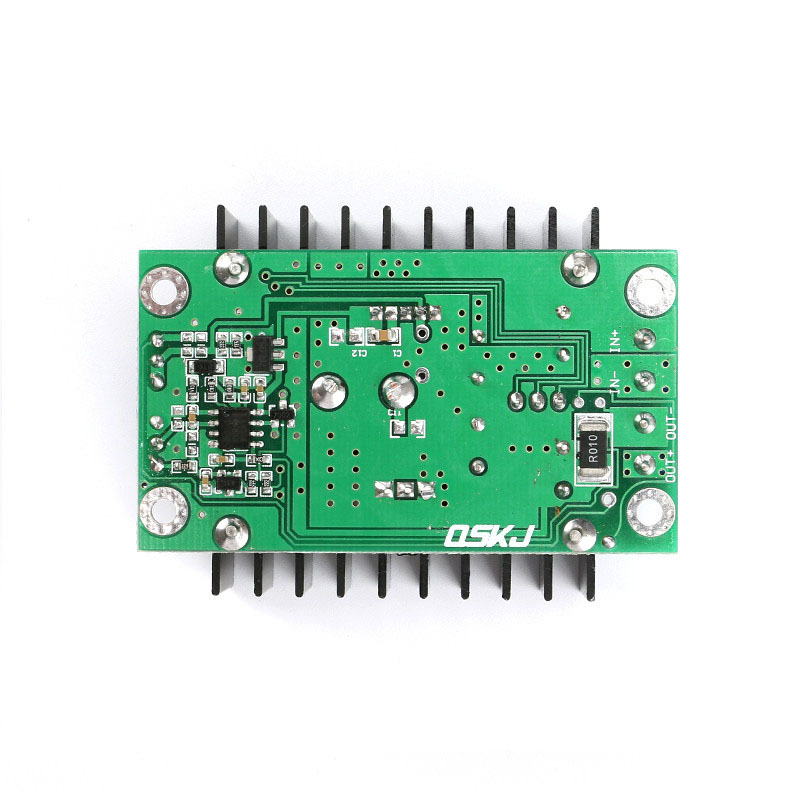 Make sure of the battery float voltage and charging current that you need, the input voltage of the module. Adjust the constant voltage potentiometer, adjust the output voltage to about 5V. Use the multimeter in 10A current scale to measure output short-circuit current, and adjust the current potentiometer to make sure the output current to the expected charging current value. Connected to the battery, try to charge. Make sure operating current and Max operating Voltage of the LED you need to drive. Use the multimeter in 10A current scale to measure output short-circuit current, and adjust the current potentiometer to make sure the output current to the expected LED operating current. Adjust constant voltage potentiometer make the output voltage reach the maximum LED operating voltage.